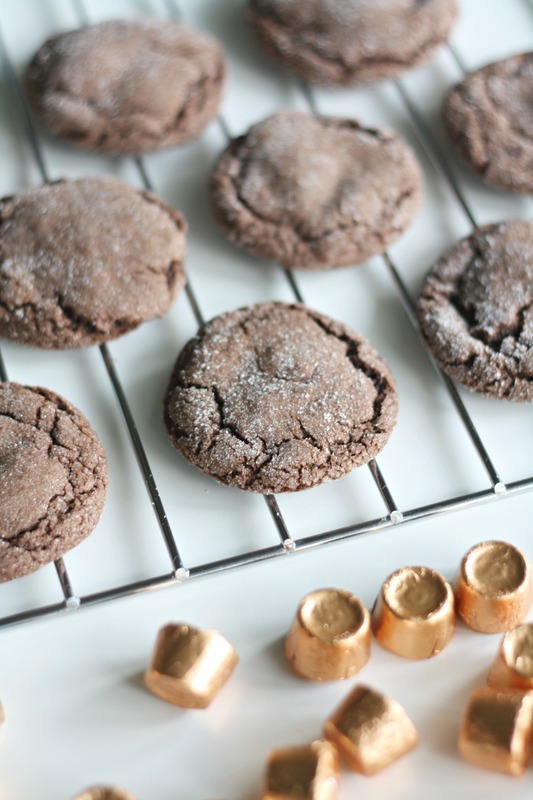 Rolo cookies are quick, easy, and delicious! Follow this simple Rolo cookie recipe (only requires five ingredients) to make this incredibly tasty, chocolatey, and gooey dessert! Great for a bake sale or Christmas cookie exchange. 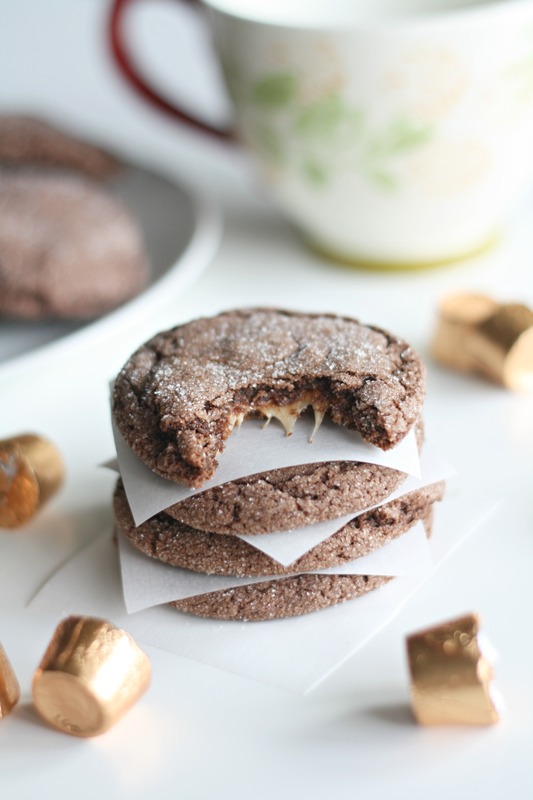 These Rolo cookies are some of my very favorite to make. They only require five ingredients – three of which you probably already have at your house! 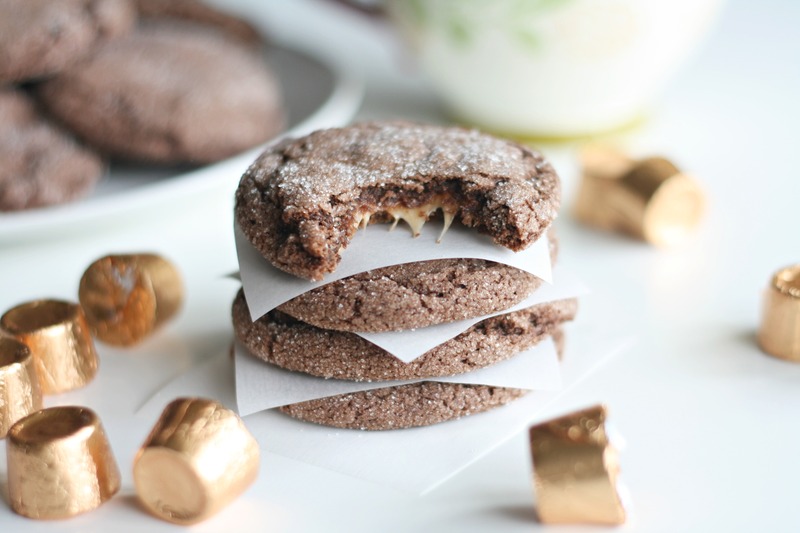 This Rolo cookie recipe mixes and bakes up so quickly. But just wait until you break one of these open. And the best part is how they taste – rich and chocolatey (almost like a brownie) with gooey caramel in the middle and yummy sugar crystals coating the outside. Heavenly. They are always a huge hit whenever I make them, and I know you will agree with me when you try these cookies made with Rolos for yourself! 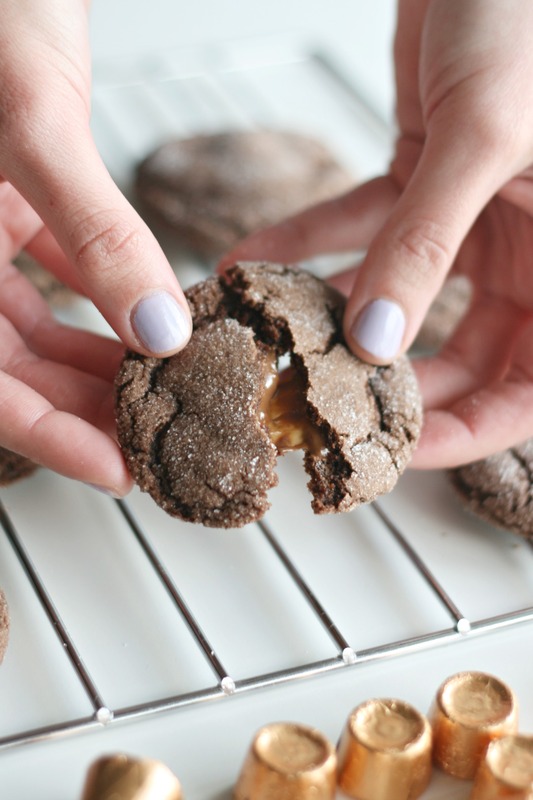 These chocolate cake mix cookies are going to be the #1 most used shortcut in your baking arsenal. You need a sweet treat for your son or daughter’s class in the morning and they just told you and it’s 11pm? Done. 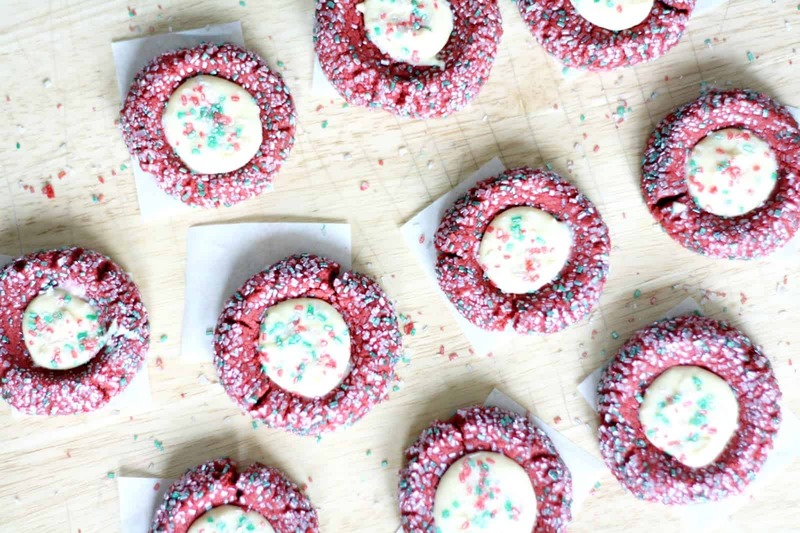 You need something tasty for the Christmas cookie exchange? Done. I certainly won’t judge you if you make them just for yourself. These Rolo cookies are that good. It’s hard to mess up cake mix cookies, but I’ve had many a baking disaster with recipes that are supposed to be easy. Having said that, I do have a few tips for you. Remember that cake mix cookies are going to be less dense (more “fluffy”) than regular cookies. They’ll be soft, which is my preferred cookie consistency, with a little thickness around the edge. 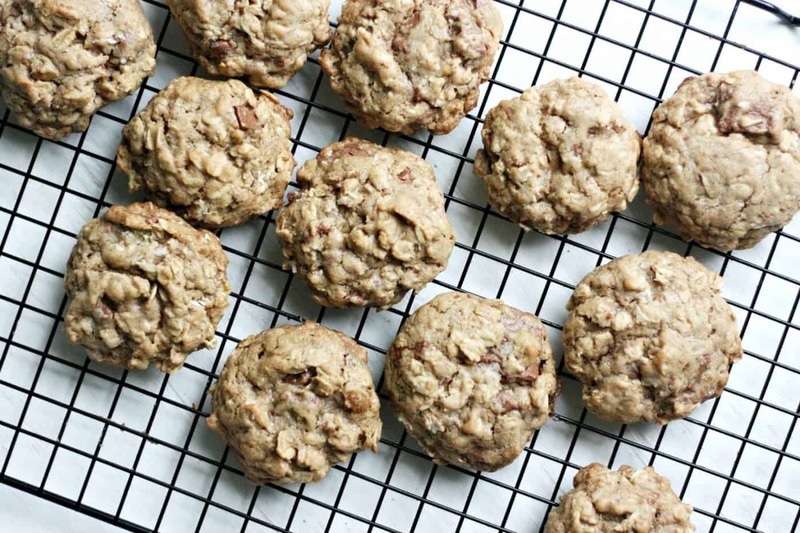 Cake mix cookies are also perfectly chewy. 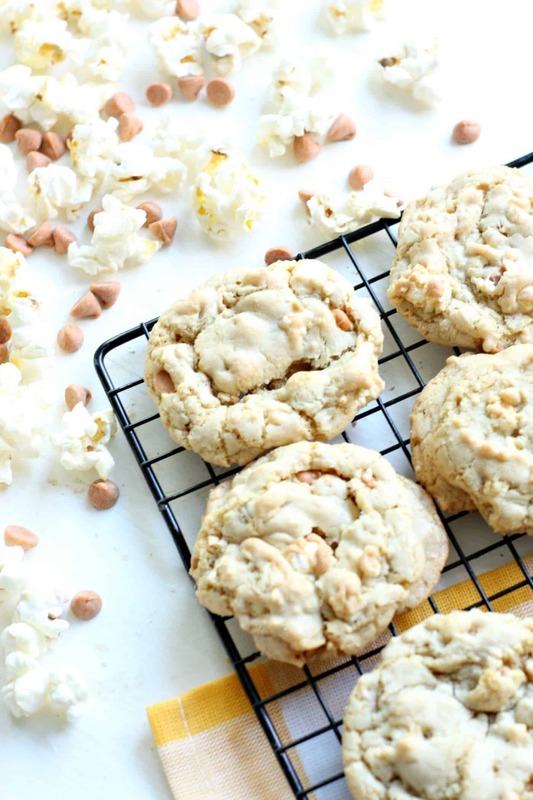 To achieve the amazingness that is this Rolo cookie recipe, you don’t want to overbeat the dough (which is true for any cookie). Mix everything until just combined, and then leave it and don’t keep beating or mixing. Also follow the recommended baking times closely. Check them after 9 minutes. The centers might look a little underdone but that’s okay as long as they aren’t dough-y. You don’t want to overbake them because the edges will be crisp and hard. 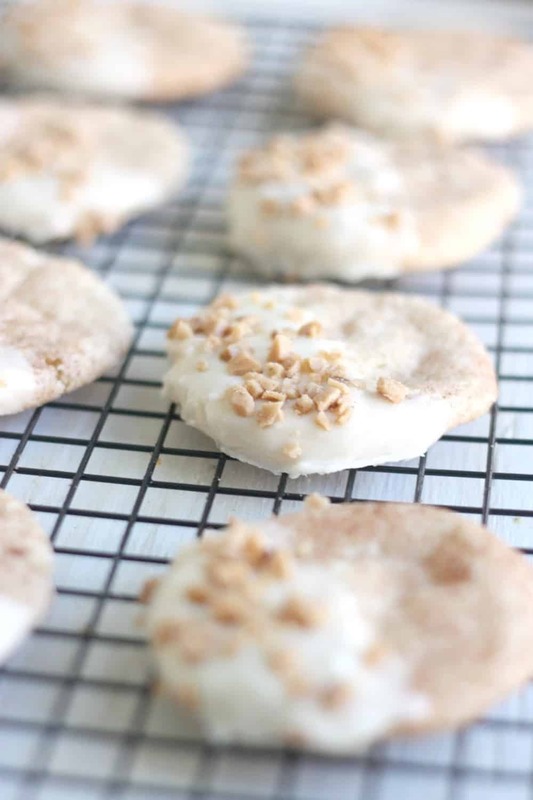 With a little practice you’ll learn to make the perfect cookies in your oven, I promise. 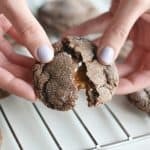 The point of this Rolo cookie recipe is that they are made with a particular candy – but that doesn’t mean you can’t shove another one inside. You can use caramel kisses, or any other Hershey’s kisses with a filling (make sure it goes well with chocolate). There are also plenty of mini candy bars that would qualify, though I recommend they have caramel inside as it works so well with the Devil’s Food mix. My point is, you don’t need to be limited by Rolos if you have leftover Halloween candy or something else that’s delicious in your cabinet. As far as cake mix, you can substitute yellow cake mix if you like. I recommend super moist mix so that your cookies don’t get dry. You can also substitute brownie mix – but then I’d do things a little differently. I’d actually make the brownie mix in a pan as normal, and then shove the Rolos down into the brownies in a grid, so that when you cut them into bars you get one Rolo per serving. 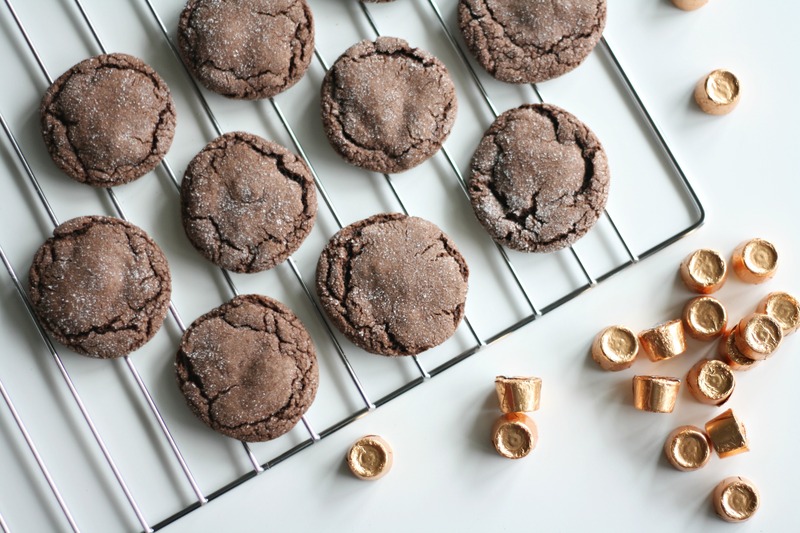 Are you ready to make these delicious Rolo cookies? Get the recipe below! Mix the cake mix, eggs, and vegetable oil. Take a spoonful of batter and put a Rolo in the middle (be sure to unwrap it!). Roll into a ball. Roll the ball in the sugar. Place on a cookie sheet. Repeat until you have a full batch. Bake until for 9 minutes or until your cookies are done. Now, what cookie recipe do you have to share with me? I am always looking to grow my collection, so leave me some comments. And be sure to visit us as we blog about style, food, and the things we love over at the Pretty Life Girls! 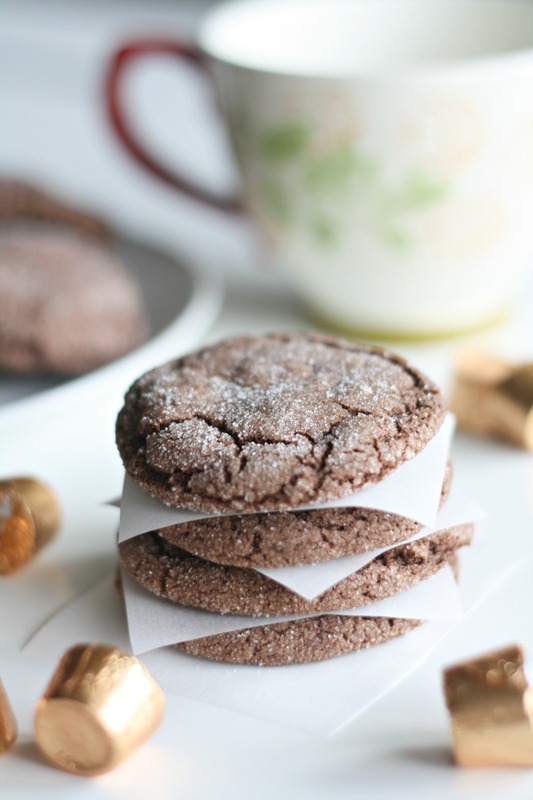 If you enjoyed this Rolo cookie recipe, check out these 20 cookie exchange recipes. They are for Christmas and beyond! Just click the image below.